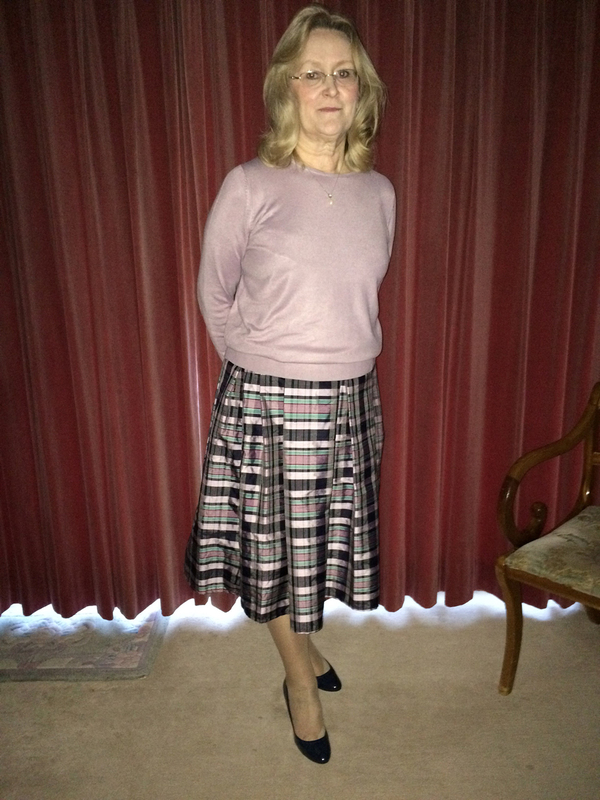 Christina showing off her navy and lilac silk dupion flared skirt made for Burn’s night. Silk dupion is a very papery fabric which holds it’s shape well for skirts like this. Kudos for matching those checks!